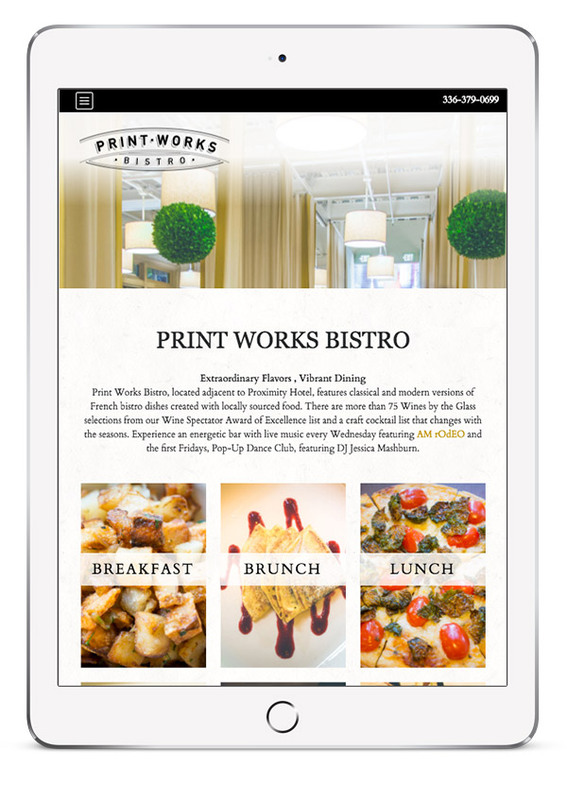 Print Works Bistro, located adjacent to Proximity Hotel, features classical and modern versions of French bistro dishes created with locally sourced food. 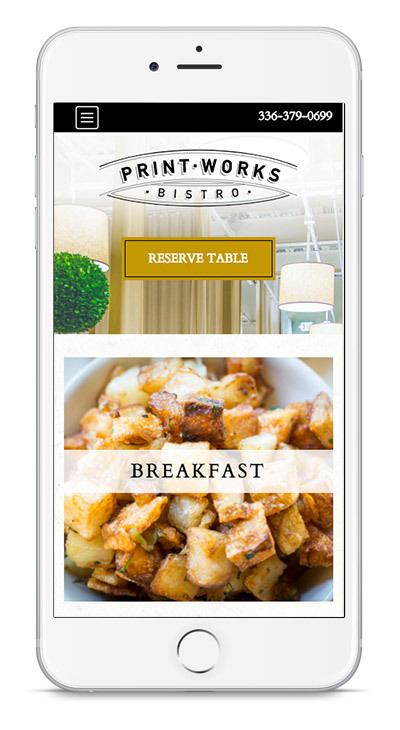 We helped Print Works Bistro by designing a website that keys in on the restaurant setting and food experience. 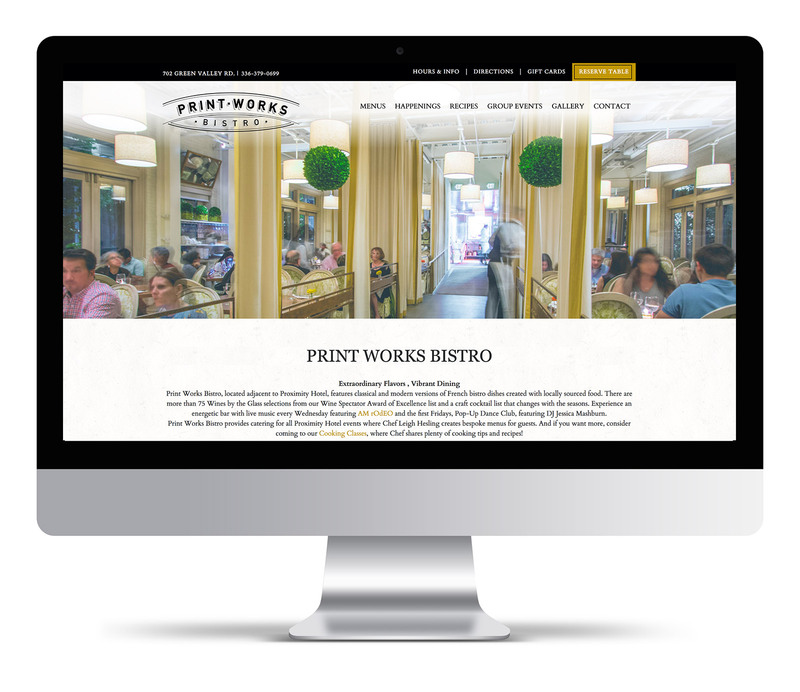 We used responsive development/responsive design and implemented all content into a Content Management System to assist the marketing staff while editing content on the site.